Discussion in 'Bug Reporting' started by Methos, Apr 7, 2019. 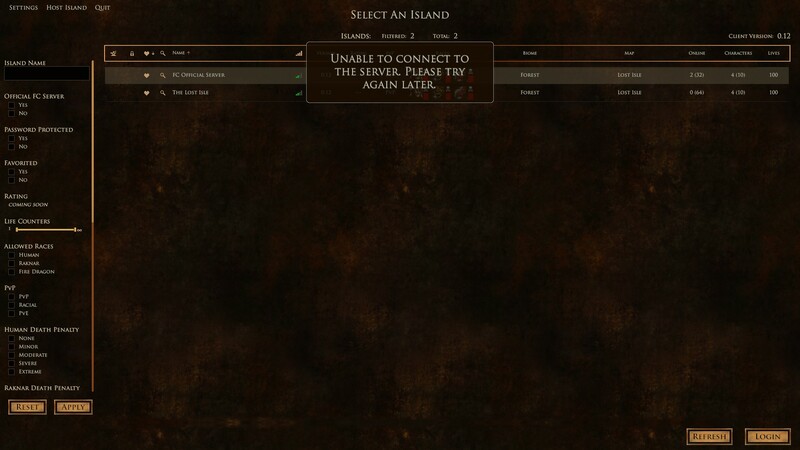 It seems that is you are moving items to and from baskets and/or resource stands you can lock up and crash the server. It acts like it is forgetting what you are moving and how many you have and breaks. You and others are still shown as online even tho you just got booted off by the server. If you craft something or move something it can lock up the server.